It makes complete sense for Jordan Brand to scale out these marquee collaborations if it makes sense. Last year’s partnership with artist KAWS was stretched out into two releases, resulting in it being one of the most talked-about sneaker topics of the year. With the upcoming release with American denim icon Levi’s it seems fitting to take a similar approach. Rumored to release in June, a black denim colored edition of the Levi’s x Air Jordan 4 is set to release in limited quantity. It’s not clear if another set of apparel will be attached to that early-Summer drop or if it will be exclusive to the partner – similar to how KAWS had the exclusive to the black pair on Cyber Monday. zsneakerheadz shares a mock-up of what the black denim Jordan 4 Levi’s could look like, so check it out here and be sure to check out the Jordan 4 Levi’s store list ahead of next week’s big release. 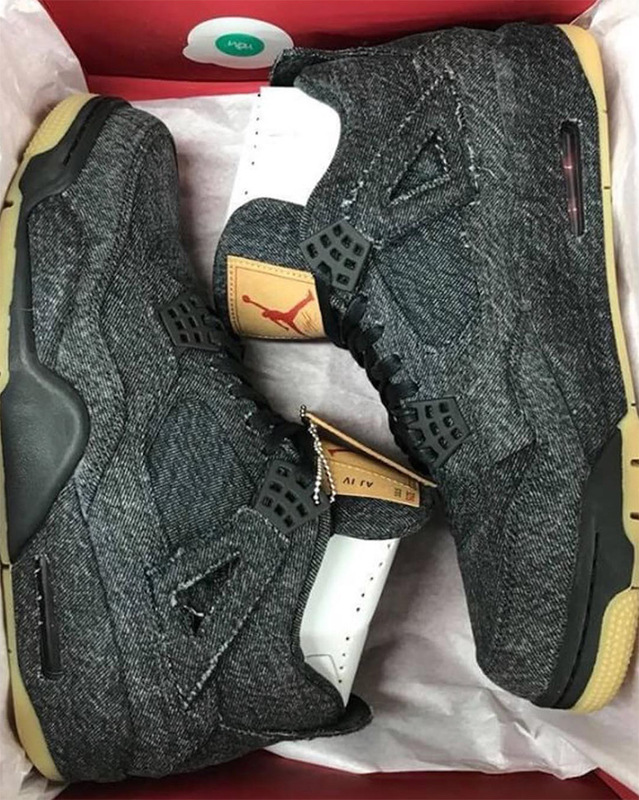 Updated May 25th, 2018: First look at the Levi’s x Air Jordan 4 in black is revealed.